Yup. I just checked. In fact, it’s Transformation Tuesday all day long and into the night! TONIGHT we kick off the first weekly Transformation Tuesday. YES! There will be a Personal Mastery Message to Motivate, Inspire and IGNITE the groovyness within you and support you in mastering your mind for a change. YES! There will be meditation, aka guided visualization, aka, Ericksonian Conversational Hypnosis... (Be assured it’s totally safe, requires no special equipment and feels FABULOUS! )… to help us FOCUS and “master our minds for a change” in a powerfully positive way for the rest of the week…. YES! There will be gentle “tai chi” like movement that you won’t have to “remember” cuz we make it up on the spot! and it feels soooooooo good and is safe for everyone to try even if you are normally a couch potato! And Yes! 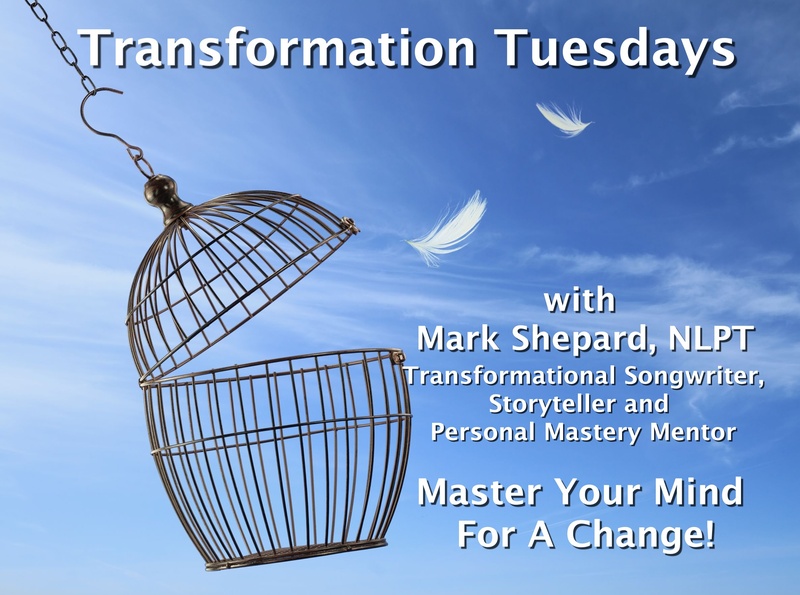 We will have some time to hang out a bit and “Meet UP!” as members of the “Transformation Nation”. p.s. BTW the 1st 10 people to show up tonight in person will get something very special to commemorate your AWESOMENESS! And I’m working on some bonuses for you folks out there in cyber-land as well.